Psa 116:4 Then called I upon the name of the LORD; O LORD, I beseech thee, deliver my soul. Psa 124:5 Then the proud waters had gone over our soul. Psa 124:6 Blessed be the LORD, who hath not given us as a prey to their teeth. Psa 143:4 Therefore is my spirit overwhelmed within me; my heart within me is desolate. Psa 69:1 To the chief Musician upon Shoshannim, A Psalm of David. Save me, O God; for the waters are come in unto my soul. 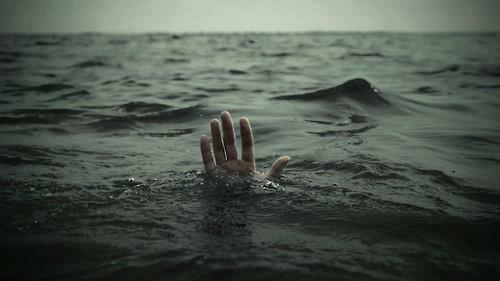 Psa 69:2 I sink in deep mire, where there is no standing: I am come into deep waters, where the floods overflow me. Psa 69:3 I am weary of my crying: my throat is dried: mine eyes fail while I wait for my God. Psa 69:33 For the LORD heareth the poor, and despiseth not his prisoners. Psa 17:5 Hold up my goings in thy paths, that my footsteps slip not.